Basic lingo every Huntsville AL real estate buyer or seller should know. 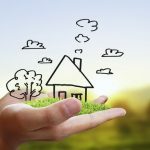 What’s the Real Value of Huntsville Homes? Renovating your Huntsville home on a budget.